In the last segment, Bill and I discussed end time wars 5 and 6 — The War in the Heavens (Revelation 12) and The War Against the Jews and the Saints (Revelation 12). In this segment, we look at the seventh and eighth end time wars in the series. 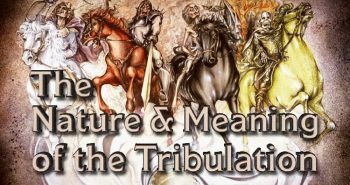 What occurs during the seventh end time war — The Middle East Campaign of the Antichrist (Daniel 11)? 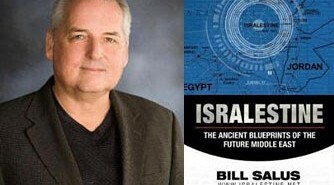 Bill Salus: The seventh war talks about the segments within Daniel 11:40-45. Take a moment on that, because that builds up ultimately to the Battle of Armageddon which is the eighth war. Dr. Reagan: Yes, the seventh war I mention is the one that is portrayed in Daniel 11. Its exact timing is something that we can only guess at, and your guess is as good as mine. My guess is that it talks about the Antichrist coming into the Middle East with an army and rampaging all around. 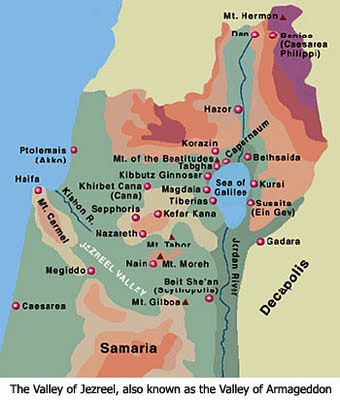 He goes down into Egypt until he finally hears rumors that greatly upset him about armies coming from the North and the East, and so he retreats back to what appears to be the Valley of Armageddon, to the valley between the two seas, the seas being the Mediterranean and the Sea of Galilee. Looking at all of that, and this is just a guess on my part, my guess would be while his attention is diverted from his worldwide kingdom, that the kingdom worldwide begins to revolt against him, and that there are revolutions in the East and the North as they begin to revolt against his power. They begin to send armies into that area as well. The Antichrist brings a great army in and he rampages around for awhile, and then he retreats back to the Valley of Armageddon to await the arrival of these other armies, which I think are coming there to revolt against him. Others believe that they are coming there to join him, so that’s just something we have to speculate about. 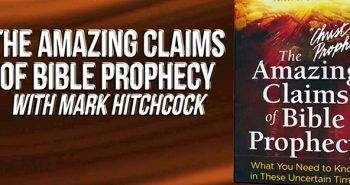 But, I personally believe it’s going to be them coming against Antichrist in revolt. Does this campaign lead to the eighth war — The Battle of Armageddon (Joel 3, Zechariah 14, and Revelation 19)? Dr. Reagan: Yes, as the Antichrist is now there in the Valley of Armageddon. His campaign prepares us for what is called “The Battle of Armageddon.” That is where the Lord Jesus Christ returns in glory and destroys all of the armies that are gathered there. I point out in my article that I think it is kind of a misnomer to refer to that as a “Battle” of Armageddon, because when you think of a battle you think of a great army going out against another army. The Lord doesn’t come back and send an army against the Antichrist and his forces. He just simply comes back to the Mount Olives, speaks a supernatural word, and they are instantly killed by the millions. It is like a neutron bomb going off. It says that their eyes melt in their sockets, their tongues melt in their mouth, their skin falls from the ground, and you end up with a river of blood that is as deep as a horse’s bridle. It is an instantaneously supernatural thing on the part of the Lord Jesus Christ when He speaks a supernatural word. It is a plague. It is referred to as a plague in the book of Zechariah when He returns to the Mount of Olives. 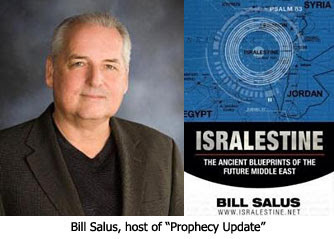 Bill Salus: You bring up a good point, because in Isaiah 63 it says He comes down to Edom. It does suggest that He takes on the whole Battle of Armageddon, or the “Armageddonites” as I like to call them, single-handedly. Jesus has no reinforcements. He is doing this all on His own accord it sounds like. 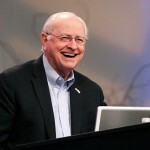 Dr. Reagan: I would be interested in your interpretation of Daniel 11, because I know that you don’t agree with mine. Bill Salus: I write in Isralestine about that specific segment, Daniel 11:44 in particular. You know the Antichrist moves into the glorious land which I believe is a much broader Israel than we have today, and he makes his way down through this campaign. He takes out 2/3 of the Jewish people, as you reference in Zechariah 13, and then he moves into Egypt continuing his devastation. We know the Antichrist comes to his end, as you just stated through the return of the Lord, but I believe the troubling news that comes from the Northeast (which would be directionally be southern Jordan) to where he would be in Egypt would be that 1/3 of the faithful remnant has escaped his genocidal attempt. There the faithful remnant beckons the return of Jesus Christ as we are told in Hosea 5:15. This is where the Lord returns to their beckoning and that is what I think troubles him. But, like you said, there is guess work in this, and your idea could be what it is just as well. We race right on through all of these wars to get to the Battle of Armageddon, and there is a whole lot that’s got to happen until then. Is that what you are saying? Dr. Reagan: That’s right, yes. People should not expect the next war in the Middle East to be the Battle of Armageddon. Bill Salus: You know people were asking that when the towers came down on September 11th. In the next segment, Bill and I will be discussing the very last end time war in human history — The Second Battle of Gog-Magog (Revelation 20).